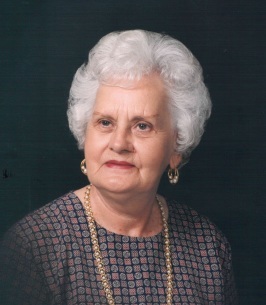 Ressie M Pharris, 95 of Cookeville, Tennessee passed away on Saturday, November 3, 2018 at Signature Health Care. Born Saturday, February 3, 1923 in Springfield, Tennessee, she was the daughter of the late Ewing Nation and the late Donnie (Smith) Nation. Ressie is survived by many grandchildren, great grandchildren and great great grandchildren. To send flowers to the family of Ressie M Pharris (Nation), please visit our Heartfelt Sympathies Store. We encourage you to share any memorable photos or stories about Ressie. All tributes placed on and purchased through this memorial website will remain on in perpetuity for future generations. You are a ONE OF A KIND and you will ALWAYS mean so much to so many people. You touched the lives of so many and I thank you for EVERYTHING you did for me and taught me. Please watch over me and my family and continue to me guide them down the right road. I LOVE YOU GRANDMA!! !